How can art promote social inclusion? This year, more than 30 artists come together over 5 days to make an impact through different forms of art, ranging from film to illustration and from storytelling to dance. Everyone is invited to discuss, participate, enjoy, and create with us. 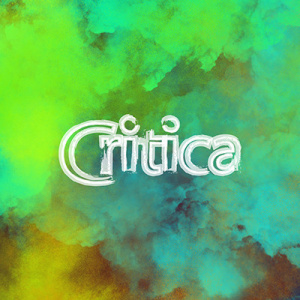 Celebrate the opening of CRITICA 2019 with us! During the opening evening we present exhibitions by six artists and spoken poetry performances by 7 poets in 6 different languages. Nicoco, with the series CELEBRATE WOMEN, asks women to respond to the question, “what empowers you?” Nicoco, 在《赞美女性》系列节目中，让女性回答“是什么赋予了你力量? How can art promote inclusion? CRITICA's main question will be discussed in detail by four artists who work with this topic. What does inclusion mean to them, and how does their personal work deal with this topic? Audience participation is strongly encouraged in this panel discussion hosted by Elevate, so come & discuss with us! FREE ADMISSION but RSVP in advance by clicking here! Gender is the main topic of CRITICA's Friday night. We will kick-off with an exploration of gender through a drag workshop (open to everyone) by Anna Leigh Mohr, and after, we will film a live shadow documentary in which we will discuss gender and its different expressions. This is a free event, but due to limited space, please RSVP in advance by scanning the QR code at the bottom! Rise early to join CRITICA's Poetry in the Park in which we re-create and re-invent traditional Chinese poems together with local calligraphy artists. In this workshop, different basic acting exercises will guide you in creating short plays which explore inclusion, and in discovering the empowering role that acting can bring to all of us. How much goes unseen? How many go unnoticed? In Illustrate for Visibility workshop you will engage in a conversation about how to represent people fairly through illustration. Afterwards, you will be taken on a tour; not to remarkable places, but instead this tour will challenge you to discover scenes that generally go unnoticed, and to illustrate them! In this workshop, we invite you to examine different identities and assumptions of yourself and others, aiming at strenghtening the understanding of who we are and how our identities interact with the world. What does an inclusive city look like? Discuss and create in this ongoing free activity! Sharing personal stories can be a very powerful tool to bring visibility to issues or to generate understanding of people's lives, but how do you present your story in a captivating and connective way? Storytelling platform Unravel will lead you in a workshop that explores the ways personal storytelling can be used to promote visibility and inclusion. Share/Care is a multi-disciplinary workshop that aims at reinterpreting the meaning of artistic production and human relationships. You will be asked to share any creative product, with only two rules: 1) You can only share personal creations and 2) Any other form of technological contact is forbidden. This workshop is open to everyone! Different short movies from independent filmmakers will be screened from 11AM – 1PM and 3PM – 5PM. A retrospective of the portrayal of Women in Cinema through Hollywood movies from the 1950s until the present. A documentary in which people with different Disabilities are interviewed, focusing on their identity, challenges, motivation. After settling into her new life in America, a Syrian refugee receives a visit from her past. Based on a short story by Jehan Sayed Issa, “The Dead Die Once” helps facilitate discussion about the experience of refugees in the U.S. and draws attention to a conflict that has fractured countless families. This documentary shows Li Xueying, an elderly woman of the Yao minority. Both of her sons died, and she is left to take care of her granddaughter, who is her only hope. This documentary shows Li Xueying's sorrowful and hard life, as well as her firm faith in living for her granddaughter. The day will finish with a jam by Greg and a handpan performance by Feiyu. Life Improviser will give a contemporary behaviorism performance, in which the audience is triggered to see similarities and connect with each other. After the film competition, the closing ceremony of CRITICA 2019 will take place. Get your tickets for the film competition here!